Return to Babylon is the fifth installment of the Orfeo saga and begins with Orfeo and Clarice returning from the New World and their battle with the Spartans to settle into a somewhat peaceful life in Pylos. However with the battles still fresh in their mind and the nightmares still haunting their sleep, Orfeo knew evil would eventually reappear- it was just a matter of when and where. An assassination attempt on Orfeo’s life leads him to leave with Clarice to venture to the city of Mesopotamia in hopes they will keep their beloved city of Pylos safe. Meanwhile, kings begin to drop like flies with the kingdom of Mursillius the Hittite becoming the first to fall. Zinaida wants vengeance upon the coalition who put her on the throne and sends spies to find Zurga. What price will be paid for those who fight for justice and freedom? Return to Babylon, written by Murray Lee Eiland Jr, continues the adventures of Orfeo who begins the heroic tale in the city of Pylos. Prepare for an action-packed story line that explores the dynamics between different kingdoms and the blood thirst for those who want to save the world. Assassination attempts and secret spies lead the characters to question whether the events taking place are purely coincidental or is there a more sinister evil at work. As the reader explores the different kingdoms, you soon learn who is trustworthy and who hides behind closed doors, plotting their evil revenge. Networks of spies will reveal information that will mean our favourite characters will have to risk it all for the price of glory. 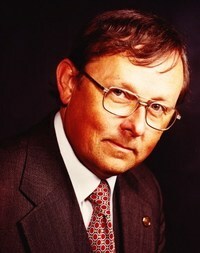 Murray Lee Eiland Jr. has an impeccable flair to paint the scenes of his story with such conviction that the reader will feel emotionally involved with the main characters and their harrowing tales. At times the novel has moments of historical accountability, giving readers a front row seat into the secrecy of life and lies within kingdoms. 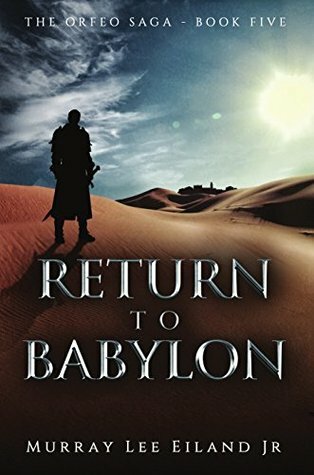 Once you add in the brave and fierce heroes, Return to Babylon, has an epic story line that will leave you on the edge of your seat and eager to read all installments. My favourite character was Cyrus, a young and eager apprentice who begins to learn the ins and outs of spy craft. I particularly enjoyed the character development and surprise turns that each character entails throughout the story. This book in the series delves deeper into the world of mystery, intrigue and espionage. I particular like how Murray Lee Eiland Jr adds a light-hearted touch to scenes in order to create a memorable and powerful story line. It is a cool reminder that some of our biggest threats are being spun together behind the closed doors within the most powerful people in the city. Return to Babylon is brilliantly written. I would recommend this novel for anyone who loves an action-packed novel filled with twists and turns that will leave you on the edge of your seat, and eager for more! The Wanderer’s Last Journey opens to Orfeo being kidnapped by mysterious strangers and heroes from all over the Aegean join forces in the quest to find the lost prince. What excited you the most to write this 4th book in the Orfeo saga? This book was the one that involved a trip to the New World. There have been many theories about Mediterranean contact with the New world, and I knew that in some ways the plot would be “far out.” Interestingly, there have been traces of cocaine found in ancient Egyptian mummies, so I had a plausible reason for travel. I did not want to fall into the well worn idea that any contact with the New World would be from a more advanced “European” culture. I think I portrayed the contact as one involving matched but very different cultures. In fact, Orfeo was taken in order to be a symbol that could be manipulated by extremely savvy leaders. 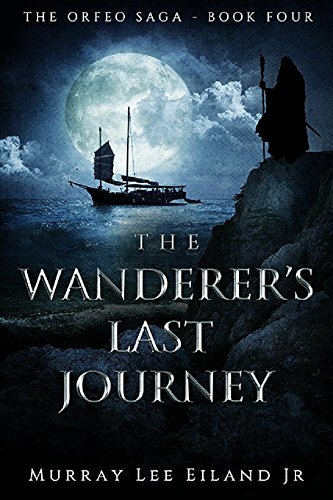 The Wanderer’s Last Journey has all the makings of a classic fantasy epic, as the rich and evocative world is as intriguing as it is intricate. Did you set out to create such a detailed world or did it happen organically? I would like to say that I planned it all. In reality the Orfeo Saga happened book by book for the first few, and then I had an idea of a wider sweep later on. This novel marks the beginning of a larger plan. At the end of the day it is all about writing about interesting periods in history. What could be more interesting than a very early journey to the New World? What if that culture could be just as treacherous and manipulative as any in the Mediterranean? Of course I had fun with this part of the book. The second part of the book, dealing with Sparta, also has a bit of humor. However, I explored how dangerous a defeated people can be. Sparta will of course emerge during the Classical period as a very serious threat to Athens. More to the point Sparta will also emerge as a threat in my (fictional) Bronze Age Orfeo Saga. I have many more books planned. The Iliad seems to be a source of inspiration for this book and your love of this period clearly shows. What is it about Greek/Roman mythology that you find interesting? I read a huge amount of Greek and Roman mythology when I was younger. I had to take Latin in school and I always found myself wanting to read at a much higher level than my Latin ability would allow. I finally decided on a career in psychiatry. At the time Greek and Roman myths were mined for their insights into human nature. They express rather unvarnished characters (good and bad, sometimes in the same character). I was really interested in motivations, and of course the biggest motivation of all. There is phrase “collective unconscious” that coneys something like “cultural memory.” I am not sure that anything like that exists as an entity, but as a concept there is something to that. People collectively wanted to move their culture and civilization on to other things. I am not so silly as to think that everything in society just keeps on getting better, but there is something in that argument! Where does the story go in book 5 of the Orfeo saga? There is unfinished business in Babylon. Zinaida has been put on the throne in Orfeo 2, and now she feels like she should exert the power of Babylon to conquer her neighbors. Orfeo 2 dealt with Babylon using military force. This novel introduces a new character called Cyrus. He is extremely resourceful and takes up the identity of a merchant. He is a character that I will use in some future novels. I like the fact that he is not just simply a warrior or even a Wanderer. He becomes something entirely different. No one is sure when the New World deity Quetzalcoatl was first worshipped. The god-man can be portrayed as a feathered serpent – and also associated with a bright green bird of the same name – but he was worshipped in a variety of ways by various cultures. Some versions of the myth state that he was a man with light hair, beard, blue eyes, and light skin. After helping humankind, he was said to have returned to his home, promising to return. It is not surprising that he has been identified as a Viking by some historians (and as an extraterrestrial by more adventuresome scholars). The Aztec Emperor Moctezuma II is reputed to have initially believed that when Hernán Cortés appeared in 1519 Quetzalcoatl had returned.